The Serra Grossa aquifer is one of Ibiza’s most depleted and salinised water reservoirs. The Serra Grossa area is also vulnerable to forest fires because of the expansion of pine trees. Both problems are a result of the abandonment of land-management practices. Located in the south of Ibiza, the Serra Grossa receives around 400 mm of rainwater annually. The majority of this water is lost because it runs off into the sea. To address this, we provided a grant of €21,000 to the Neighbourhood Association of Rafal Trobat (Asociación de Vecinos RafalTrobat) to develop water ponds as a pilot project. create a wetland habitat for wildlife, in particular the threatened Balearic green toad (Bufo viridis ssp balearicus). 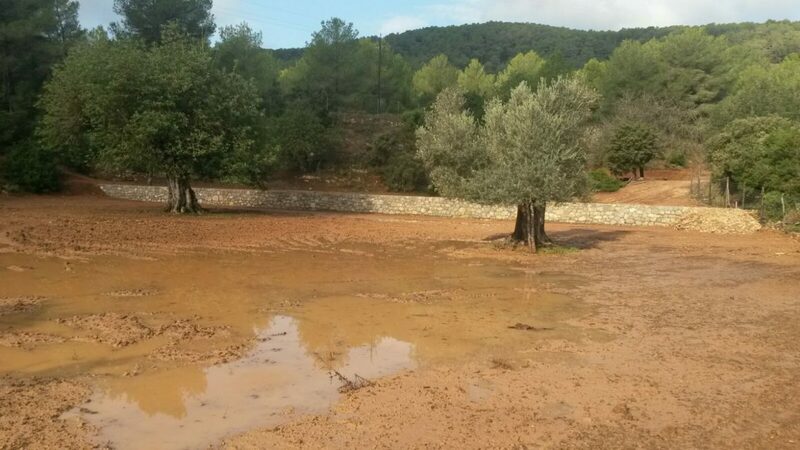 The ponds will add to a comprehensive land-management plan already underway by the Association of Forest Owners of Ibiza and Formentera (Asociación de Propietarios Forestales de Ibiza y Formentera) to recover the aquifer and mitigate the risk of fire. The information gained from this pilot will be used to replicate water ponds across Ibiza and Formentera.